Newfields Gallery is situated at Newfields Farm in the heart of the Churnet Valley, where Roger Sutton and Gail Keep live and work. Roger carves English oak, specialising in plant form and the magic of foliage. His intricately carved panels and decorative pieces include wall mounted items and larger panels for use in interior decoration. As well as the oak carvings, Newfields offers a range of finely detailed relief ceramics. 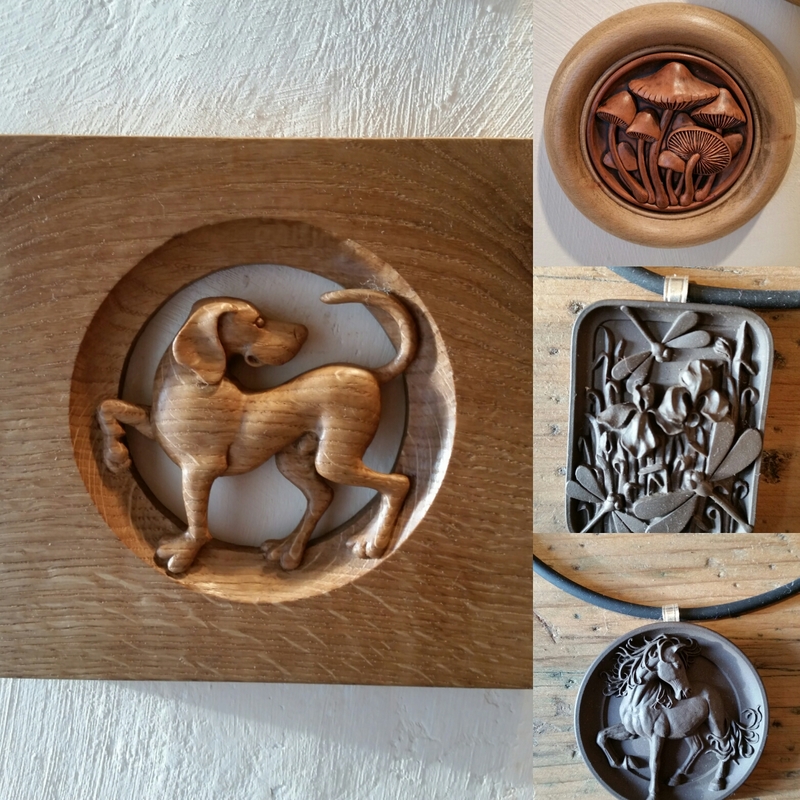 On display in the Newfields Gallery are the exquisite range of small boxes, plaques and jewellery. Hand carved oak dog is £280, 19sq cm and hangs on the wall. Ceramic designs: Pendants £14, Brooches £9 at 4cm. Carved oak wall plaque of mushrooms is £21 with a 10cm circumference.